Goran Pandev with an assist and a goal gave Juventus the first Serie A defeat this season, Ilija Nestorovski exploded for Palermo by scoring a brace and assisting, Aleksandar Trajkovski provided an assist as well, Muzafer Ejupi scored his first goal since his comeback, Ferhan Hasani assisted for a winning goal. Both internationals from Macedonia, Bojan Najdenov for the hosts and Artim Polozhani for Flamurtari, were starters for their respective teams. In the end, the game ended without goals. Edis Malikji started in the away match for Kukësi, while his teammate Ardian Cuculi didn’t make the matchday squad. Egzon Belica started for Partizani and was part of a defense that kept a clean sheet, while Bobi Celeski served as Teuta’s reserve goalkeeper. Daniel Georgievski played all minutes at right-back as his team Newcastle suffered an unexpected loss against the Central Coast Mariners. Tome Kitanovski was a starter for the hosts as his team suffered a loss at home against Qarabağ. Gjoko Zajkov made the hosts bench, but didn’t play. Emil Abaz wasn’t called up by the visitors for this encounter. Krste Velkoski began on the left wing for Sarajevo and lasted 75 minutes on the pitch. Eventually, the game ended in a goalless draw. Djelil Asani started at left-back for Mladost and played all minutes on the loss against Radnik. Aleksandar Isaevski played another full game for Dunav Ruse. He also got booked in the 77th minute. Darko Glishikj played the full game for the visitors as his Septemvri stood no chance against the league leaders Ludogorets who won 6:0. Septemvri has now conceded 13 goals in the last 3 rounds! Stefan Ashkovski started on the left wing for Slavia and played for 68 minutes, while Darko Tasevski did not make the squad for this encounter. Arijan Ademi remains out of the squad by Dinamo as he is still recovering from his surgery. Mirko Ivanovski remains sidelined by Hajduk. Agron Rufati did not get summoned by Istra for this encounter against Inter. Muzafer Ejupi scored his first goal after his comeback, having scored only 6 minutes after entering the game in the 76th minute. However, the goal was not enough to defeat Darko Velkovski and Milan Ristovski‘s Rijeka who won 3:1. Velkovski played the whole game while Ristovski entered the match in the 89th minute. Daniel Mojsov played the full game for AEK while his teammate Ivan Trichkovski remains sidelined due to his injury. Because of the injury Trichko had to withdraw from the national team for the upcoming qualifiers. Davor Zdravkovski made the start for AEL and got substituted in the 84th goal after Omonia’s second goal that put them in a 2:1 lead. Dushko Trajchevski played the full game for the hosts who suffered a heavy 1:4 defeat to Doxa. Trajchevski also got booked in the 86th minute. Ezgjan Alioski played another full game for Leeds United as they lost 0:1 to their direct promotion rivals Sheffield United. Its a devastating defeat for his team. Ezgjan got really mad in the 83rd minute when accused of a dive. He then gave a slight shove in the back to the accuser Chris Basham. After the game, he got into it with more Sheffield players. Damjan Shishkovski played the whole match for the winning team. He managed to keep a clean sheet and helped his team advance to the next round of the Finnish Cup. Nikola Jakimovski played the whole match for the visiting side, while Davor Taleski still hasn’t made the breakthrough to the squad. Larissa managed to hold to a goalless draw against relegation rivals as they played the last 16 minutes of the game with a player less. Despite back in training, Stefan Spirovski is still not fit to play. He also had to withdraw from the national team for the upcoming qualifiers. Kire Ristevski was not part of the matchday squad for the winning side. Boban Nikolov was brought on in the 84th minute of the match for the hosts. Risto Mitrevski was one of the best players on the pitch, which led to a praise on the club official website. Unfortunately, his club missed out on playing in the promotion round of the Israeli league and will play in the relegation group. Goran Pandev continues to be a nightmare for Juventus. He was brought on in the 60th minute of the game and was crucial in leading his team to a win which was actually Juve’s first defeat of the season. First, Pandev provided an assist to the opening goal scored by Sturaro in the 72nd minute and then went on to grab himself a goal in the 82nd minute. For the goal, Pandev made a run from inside his box and fired a powerful shot. Watch his assist and goal in the video below. Aleksandar Trajkovski and Ilija Nestorovski were vital in their team’s win over Carpi. Especially Nestorovski played an amazing match, creating one goal and scoring two more. Trajkovski provided the assist on his side’s third goal. Check out the goals and assist by Macedonians in the video below as our duo took part in all of Palermo’s goals. Denis Mahmudov remained on the bench for the home team. Antonio Stankov played the whole match for the hosts. His side celebrated a close win over his former club Roda. Stankov actually started his career in Roda. Stefan Ristovski played the full 90 minutes and had a good game for Sporting beating Santa Clara. Filip Gligorov wasn’t included in home team’s squad for this match. Mite Cikarski didn’t play for Gaz Metan on this match. Besart Abdurahimi didn’t make the visiting matchday squad. Marko Simonovski wasn’t included in Sepsi’s squad. Ferhan Hasani played the whole match and assisted the only goal in the 41st minute. Zoran Danoski didn’t take part in home team’s squad. Aleksandar Todorovski played the whole match and his team continued the great form winning away to Zemun. Todorovski earned a yellow card in the 62nd minute. Milosh Tosheski stayed on Zemun’s bench for substitute players. Enis Fazlagikj wasn’t part of Žilina’s squad at this game because of injury. Both Tihomir Kostadinov and Yani Urdinov didn’t play for Ružomberok. Kostadinov wasn’t summoned, while Urdinov was serving a red card suspension. Kire Markoski played until the 86th minute for Spartak when he made way for Czech international Václav Dudl. Tomche Grozdanovski was unused substitute for ViON. Enis Bardhi played full game for Levante and put in a decent performance. Stole Dimitrievski was Rayo’s starting goalkeeper and conceded three goals in his team’s road loss. He stood no chance in each of the goals his teammates in the back line were really bad in the three occasions. This was Rayo’s seventh consecutive loss! Nikola Gjorgjev wasn’t part of Grasshoppers squad at this match. The match was abandoned due to spectators riot. The Grasshoppers fans were interrupting the match several times so the referee decided for the safety of the players to blow the final whistle in the 55th minute. Sion is expecting a 3:0 green table win. Mario Gjurovski wasn’t summoned by the visitors. 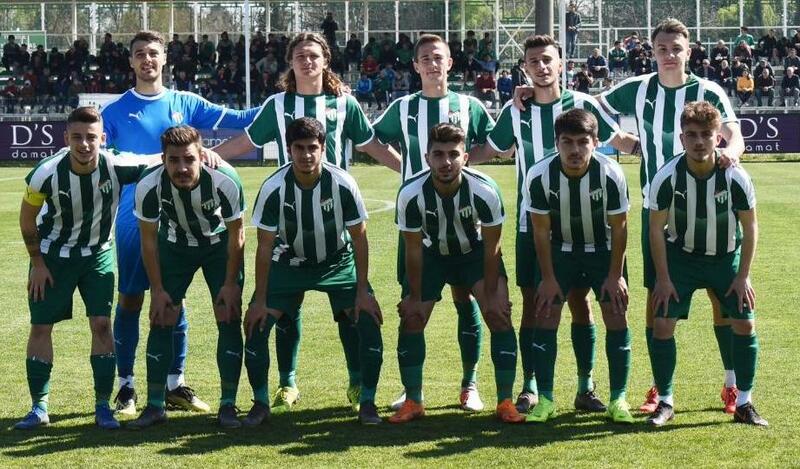 Leonard Zhuta played whole match for Konyaspor while his teammate Adis Jahovic entered the field at the beginning of the second half replacing Bosnian international Emir Hadžiahmetović. Elif Elmas watched his teammates win from the bench. Jani Atanasov wasn’t summoned by the home side. Instead he played for the U21 team in the 1:1 against Galatasaray. Stefan Jevtoski wasn’t summoned by the home side.